As children interact with the world around them, they observe, learn, and discover new things. When a child has freedom to explore their curiosities, they are able to test their environment and find out how the world works. A lot of this discovery and learning take place through play, a natural activity that most kids participate in. Play allows children to use their imagination, explore the world, and test out their curiosities, which in turn helps them make discoveries about their surroundings. When a child has the freedom to play without anyone telling them what to do, they are able to put their imagination to use and work out problems on their own. Children have curious minds. They want to know how the world works and why things happen the way they do. Play can help them do this. Through play, children are able to develop and make discoveries that may have been taken away from them if they did not have the freedom to play in their own way. When you children attend Inch By Inch Child Care, they will have freedom to play and explore their curiosities in our stimulating and fun environment. Our classrooms reflect the social, emotional, and educational needs of each age group, allowing kids to advance in their development and education. We encourage our students to participate in independent play to help them discover and learn from their curiosities. There are many beneficial elements that play can offer to children. 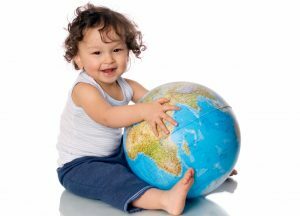 When a child is allowed playtime, they are able to use that time to learn about the world and develop in many different ways. 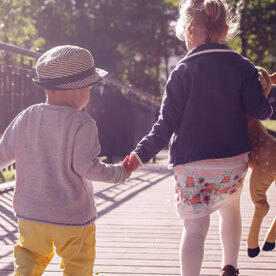 Allowing your children time to play offers many different benefits, and in this blog we will go over a few of those benefits. Children use their creativity and imagination to play, creating made up worlds, scenarios, and games in their little minds. Creativity allows them to test different theories about how things should work and get answers to these theories, making new discoveries. As they play and test things out, they will find what doesn’t work and eventually they will find what does. When parents jump in and help their children figure out whatever problem they have run into, the parents have robbed the children of a learning opportunity. When children have to figure these things out by themselves, the develop their ability to effectively problem solve. 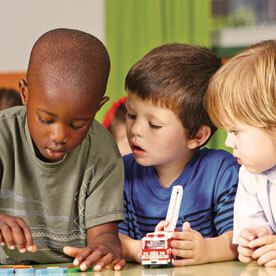 Children observe, compare, analyze, and problem solve, figuring out how their toys work and how the world works. An article from Whitby mentions a TedXTalk where Professor Doris Fromberg says that a child learns a huge amount through imagination and that play pulls the logical and creative parts of a child’s brain together. Free play gives children the ability to make discoveries of the things that interest them, exploring different solutions, and finding what works. Not only does this help them to understand how and why things work they way do, but it also help them develop important skills that they will use throughout all of life—from observing to problem solving. When children are able to test out different things, their problem solving skills advance. Along with the problem solving skill that children develop while independently playing, they will also make discoveries about the world and the way it works. Once they solve the problem, they will be able truly understand and grasp a concept, much better than if you help them with their problem solving. In an article from Nurture & Thrive, they discuss a theory that was developed from Jean Piaget. This theory said that every time a child is taught something they could have learned on their own, they are kept from inventing it and understanding it completely. A child uses their imagination to come up with different ideas, they will test these ideas and discover different things about the world. If a parent or teacher takes away a child’s need to test things for themselves, they are unintentionally stifling the child’s ability to understand why something works how it does. If your child is having trouble figuring something out, encourage them, give them ideas, and allow them to work it out by themselves. This will help them to make their own discoveries. It is probably obvious that playing with other children helps to develop a child’s social skills. They learn to share, work together, resolve conflicts, and how to act around others. They also learn how to cooperate with one another to get the outcome they want. Children won’t always agree and may end up fighting about the rules to their game, but they will slowly develop the skills needed to work together and negotiate. 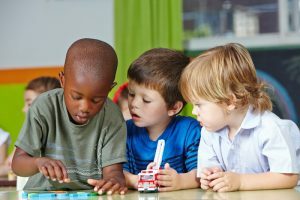 In an article from The Center for Parenting Education, they mention that children who engage in pretend play often become better at interacting with other, stating that there is evidence that supports a connection between pretend play and cognitive ability. The article also states that children who lack quality play often have issues with problem solving, social skills, and academics in the long-term. Not only does play with other children help with social skills, but children who play with their parents can benefit greatly. The article from The Center for Parenting Education mentions these benefits. When a father plays with their child, the child has a stronger imagination and cognitive ability. Children who play with their mothers showed a stronger attachment to their mother and enjoyed more positive development. Children who play with their parents have positive mental health, as well as better relationships with their friends and families. 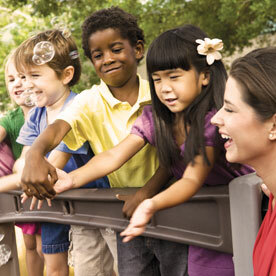 Play helps with a child’s social skills as well as their relationships with others, allowing them to connect during these moments of play. The Whitby article also discusses the importance of play in the classroom and how it can help children to learn and grow. In a New York Times article, they mention how schools are turning in the opposite direction. 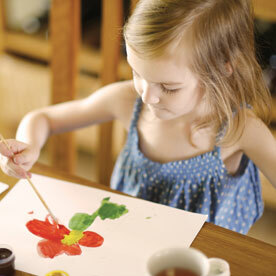 Children are now beginning their formal learning as early as four and five years old. Nancy Carlsson-Paige, a professor emerita of education, says that this is not how children learn best, especially not at that age. Children need to explore their curiosities and discover things on their own, this will help them learn about the world around them and get a better understanding of the world. 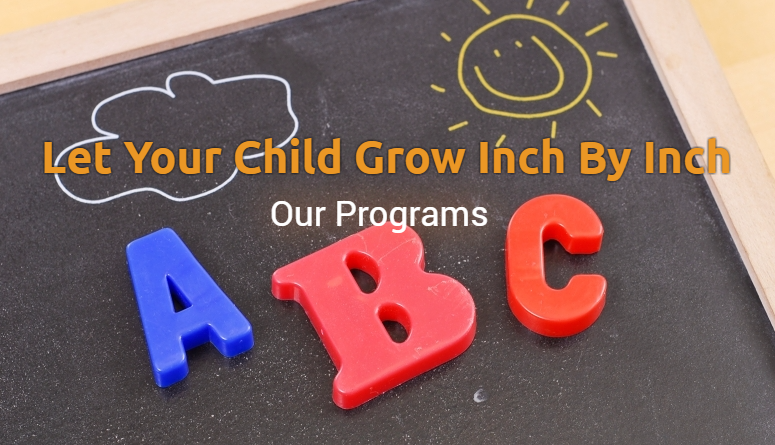 At Inch By Inch Child Care, we encourage our students to play, learn, explore, and discover. You allow children to be independent and play in order to learn important lessons and develop different skills that will help them down the road. Play is important for children and allowing them to play and problem solve can help them to develop many different skills. Learn more about our child care center and start playing with your children, it may help them develop new skills and build better relationships.